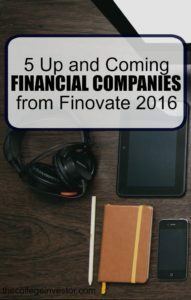 At the Spring 2016 Finovate Conference, startups and established companies from around the world debuted their latest products to a packed audience. More than 50 companies presented their newest devices, software and more. 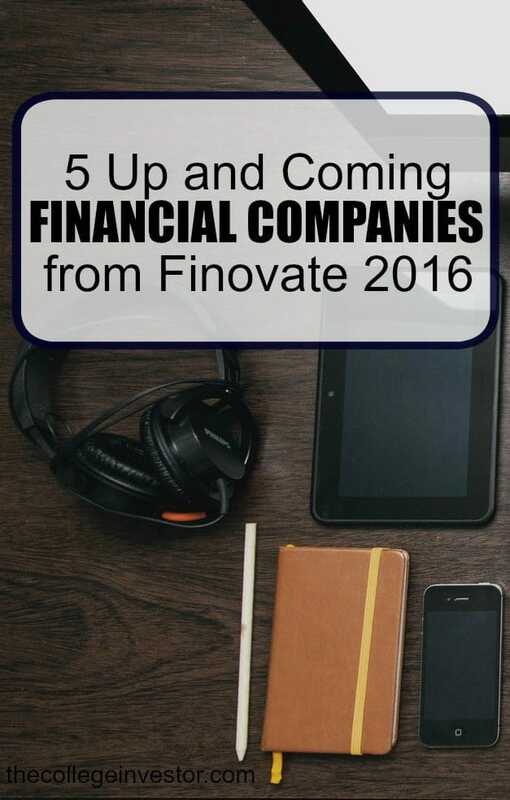 Finovate has been the starting point for many of today’s common financial services, such as robo advisors and online budgeting tools. So what are the latest companies grabbing our attention? Read below. The latest offering from Amanda Steinberg, creator of DailyWorth, is a financial planning practice geared toward women. The product is currently in beta test with an expected official release date later in 2016. Steinberg knows her audience. DailyWorth is a premier site for women looking for financial advice with an audience of more than a million. WorthFM is for DailyWorth readers who know how to save and budget, but don’t know how or where to invest. Built like a robo advisor, WorthFM automates saving based on your spending habits and transfers money only when it’s safe (avoiding overdrafts). It also has you complete a personality quiz before it invests your money, which it then uses to tailor any investments to fit your lifestyle. Going to a car dealership to get your new vehicle is so 2009. CUneXus partners with credit unions and locks dealerships to show you cars available in real time – along with customized financing information. That’s right – you can shop for a loan and a car at the same time. Their intuitive system and easy to use navigation is perfect for people hoping to avoid a whole day spent at the dealership. If you have a car to trade in, you can also import that information to get an estimate of what it’s worth. The site lets you scan and send in all relevant documents, so you won’t need to do anything at the dealership except pick up your keys. The hottest trend in benefits is companies repaying student loans for their millennial employees. But Student Loan Genius takes this one step further. The program encourages companies to make 401k contributions for their employees based on their student loan payments. Depending on how much their payment is, the company will contribute a certain amount to their 401k fund. This way, millennials no longer have to choose between paying off their loans and contributing to retirement. There’s a slew of robo advisors on the market, all promising to help you invest based on your lifestyle, income and age. But what if you could invest based on a person, say, Warren Buffett? That’s where meetinvest comes in. It tracks the investing habits of more than 30 people and allows you to invest based on the financial gurus you admire. Instead of choosing a target-date fund or ETF, you can pick an expert to follow. This service is already available for both financial institutions and consumers. Check out The College Investor meetinvest Review from 2014. What if you could save for your vacation by biking to work or taking the stairs? What if you could save money – without even trying? That’s what savedroid hopes to do. The German-based company allows its customers to save for big goals by making tiny deposits into an account. The deposits are tied to your daily activities. Whether you take the bus instead of driving your car or miss your Pilates class to eat pizza on the couch – these are things savedroid can take into account. The best part? When you’re rewarded for being good, more money gets deposited into your long-term goal. Win-win. savedroid also analyzes your spending habits to see if you’re overpaying your cell phone bill or if there’s a cheaper internet plan for you. Zina is a writer, speaker, and coach that focuses on student loan debt and young adult money issues. You can learn more about Zina at Debt Free After Three.